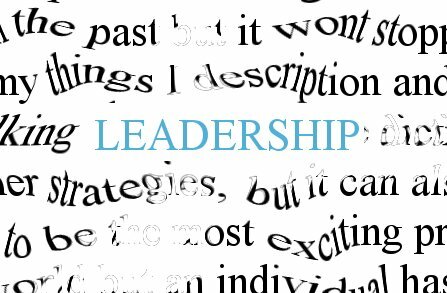 The qualities of leadership are something that are highly sought after in a business context and there is a large body of research on the area of leadership with varying styles and definitions of how and what it is to be a leader. Though there are varying approaches to leadership there are certain identifiable traits that remain constant across all effective leaders. A primary role of being a leader is to make difficult and business critical decisions. An effective leader does not flounder in the face of tough decision making. Once they have the data necessary to make an informed decision they are more than willing to take a difficult decision and stick to it. Another key identifiable trait of effective leaders of optimism. A leader is needed to instil drive and inspire good feeling within a team. When things are taking a turn for the worse it is the role of the leader to get people inspired to make positive changes. Integral to this is facilitating an environment of support so employees feel that they can take risks which could possibly reap rewards for the business. All effective leaders exude trustworthiness. In order to be able to take responsibility and make key decision it is critical that a leader gains the trust and respect of their employees. Trustworthiness is developed by being honest, open and above all things consistent. By taking into consideration opinions and engaging with employees in a genuine, honest and candid manner a leader gains credibility. When the team wins, the leader wins and when the team fails, so does the leader. This means that they take full ownership of failure regardless of whether a particular individual made mistakes that cost the team. Being accountable goes someway to instilling an environment of support where team members feel confident to be creative and take risks. Focus is an encompassing trait that has multiple components. Effective leaders have a strategic vision for the business and use this focus to drive projects and motivate employees. The bottom line for business is to meet targets and deliver results which effective leaders achieve on a regular basis due to a results focused mind-frame. The most critical component to the 7 key traits is being an effective communicator. Effective leaders are able to adjust their approach to communication to get the best out of different personality types, successfully negotiate conflict resolution and are able to facilitate communication that allows the solicitation of new and creative ideas. Sounds easy doesn’t it. If you are in a position of leadership or are looking to develop your skills with the objective of undertaking a leadership role further in your career by practising the following 7 traits you will enhance your chances of becoming an effective leader. » Click here to view our leadership course.